After being suspended for 30 days for violating WWE’s Wellness Policy, Roman Reigns will be missing much of the build up to WWE Battleground. There has been no information released on how Reigns violated the Wellness policy, but that hasn’t stopped fans from speculating on what really caused the suspension. Some fans have asked, “How can Roman not know he was violating the wellness policy?” WWE fans are wondering what fallout, if any, will result from Reigns lengthy suspension. While the WWE Universe has been speculating on Roman’s suspension, he tweeted to his fans that he owned up to his mistake. He stated that there was no excuse for his violation of the WWE Wellness policy. Will this be enough for Reigns to keep his fanbase? Many wrestling purists have made their feelings known in regards to Roman Reigns’ flagrant disregard for the rules. While Roman will be off suspension when the fight occurs, Roman will miss the weeks-long build up to the major fight Battleground. He will also miss the WWE draft slated for July 19, 2016, taking place live on Smackdown. The big question in everyone’s mind is what will happen at WWE Battleground? Will the three-way fight go on as planned or will it be scheduled for another time? WWE Battleground could be one of the biggest events for WWE this year. On the flip side,an unintended consequence of Roman Reigns being suspended is the PR buzz that was generated from the announcement. Mainstream media such as ESPN, Rolling Stone and others have reported on Roman Reigns being suspended for his violation of the WWE Wellness policy. 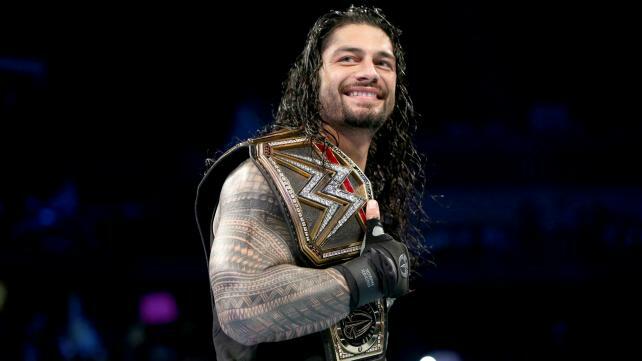 WWE fans have privately wondered in concern if Roman Reigns is the next Batista. Like Reigns, Batista returned to win the Royal Rumble but when he returned, the crowd was not happy to see him back in the WWE ring. Batista’s fans felt deserted when he left. It now seems clear he’s not coming back anytime soon. What does this have to do with Roman Reigns? Wrestling fans see Roman Reigns much like they do Batista. For many fans, it felt like the WWE was pushing Roman Reigns to win the Royal Rumble and get his WrestleMania title shot from the beginning of his career. Instead of having Roman Reigns evolve as a headliner over time, the powers that be pushed the Roman Reigns character onto the fans. Was Roman Reigns ready for his moment on the big stage? WWE fans have mixed emotions about Roman Reigns and his detractors say that they won’t support a wrestler just because WWE tells them to do so. This dedication is what makes WWE fans the best in the world. A few years ago when Roman Reigns was absent from the WWE due to a hernia injury, the impact of him being out of the ring had a two-fold effect. It kept Roman Reigns from being railroading, and it kept fans from being force fed another fabricated star. As soon as Roman returned, WWE pushed him into the main event at WrestleMania. Some WWE fans think that the creative team is pushing Reigns into the role of the next wrestling Messiah. For some fans, this just didn’t seem right. Because of the culmination of controversial events, Roman Reigns routinely gets booed when he enters the squared circle. The WWE Wellness policy violation is just one more reason for detractors of Roman Reigns to feel the way that they do. Nonetheless, Roman Reigns has wrestling in his DNA as he is the son of Sika. Sika is a Hall of Famer who is also a member of the Anoi’a wrestling dynasty, which includes notable WWE wrestling superstars such The Rock. Roman started his wrestling career as one-third of The Shield before breaking off from the group to wrestle as a singles competitor. So far, Reigns has won the WWE World Heavyweight Championship three times. Can Roman regain his past glory and the WWE Championship a fourth time or will his Wellness policy violation impede his quest to once again wear the strap?